All applications received on or before June 1, 2012 will be automatically considered for a scholarship of up to £ 1,000. Scholarship will continue every year around the subject’s degree program to students achieving the required value. Applicants are NOT required to complete a separate scholarship application form for International Scholarship. 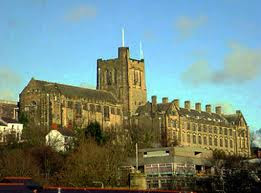 Successful candidates who have applied to study at Bangor University before June 1, 2012 will qualify for the International Scholarship. International scholarships will apply to students starting courses in September 2012. Students who receive scholarships other types of Bangor University or other sources will not be entitled to the International Scholarship. International scholarships are offered in the form of a reduction in tuition fees payable at the end of October, 2012. Scholarship is not open to UK / EU applicants. Demikianlah informasi mengenai International Scholarship at Bangor University semoga berguna bagi anda.